The Samsung Galaxy S7 is certainly an expensive electronic mobile device. When you invest that much money into a smartphone it is certainly a good idea to provide it with as much protection as possible. A simple and cost effective way to accomplish that is by purchasing a protective case. They certainly come in every design and color imaginable. In fact they can become a way to express yourself through personal branding. There are so many choices on the market today. That is why we have created the following list of the top 15 best Samsung Galaxy S7 case protectors in 2019. The iWire Samsung Galaxy 7 case protector is mainly concerned with fully realizing the potential of your Samsung smartphone while providing for double protection from falls and damage. Specifically molded to fit the S7 g930 only, this chiseled case protector is made with a durable poly-carbonate hard plastic outer shell with an additional anti-dust silicone material inner protection layer. This inner layer is a silicone rubber gel that wraps around your phone and helps provide additional shock absorption, meaning not only is the phone protected against hard surfaces but also from impact from falls causing internal damage to the phone. It also comes with a fixes 360-degree ratcheting belt clip and can be opened at the most convenient areas for full access to the touchscreen. Also, there is a built-in video kickstand for landscape viewing on the phone’s side. And it comes with a iWire Touchscreen pen rather than a simple plastic stylus. 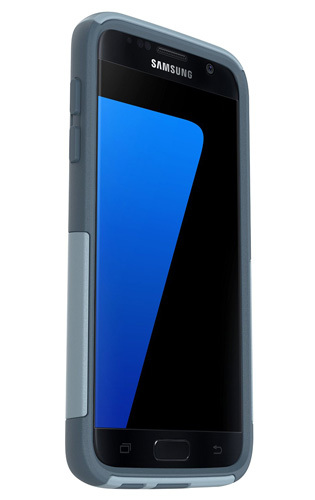 Samsung’s own premium Galaxy S7 edge Case LED view flip cover has an LED display on the front flip cover that displays the time, which means you no longer have to flip open the case to see what time it is (since our phone have now replaced wristwatches in modern times). This is not all the LED cover can display. It also shows users to receive additional notifications such as time, what music is playing, reading incoming or unread messages, missed calls, the number of an incoming call, volume control, and battery charge status. This is accomplished by LED sensors that activate and deactivate once you either close the cover or press the S7 edge power button. The flip cover also comes with an interior card pocket to keep your credit cards handy and safer and more secure than your wallet or purse might. Some case protectors are just basically a plastic sleeve that breaks too easily when you jostle it in your pocket next to your keys. 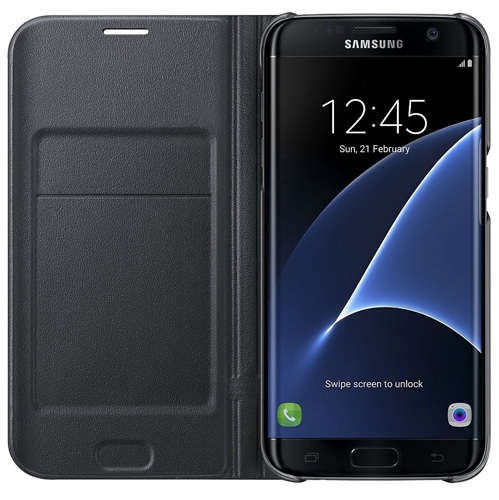 Galaxy Wireless’s S7 case is made from genuine black leather – which absorbs a significant amount of shock when dropped or shaken. It also comes with a built-in kick stand and open access for all ports and plug-in and camera lenses. This means you can charge this phone inside of this leather case. In addition to the leather coating, it also comes with a soft interior lining that adds an additional layer of shock absorption. This interior lining is built with 2 credit card slots and an money pocket. This helps lighten the load on your wallet or purse and allows for easy access when you need to make purchases. This is all in a case that fits your Samsung Galaxy S7 like a glove. 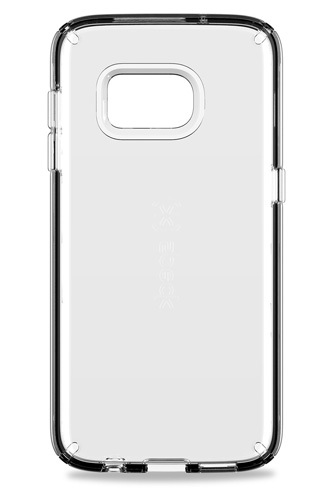 Samsung also produced many of their own case protectors, and the S-View Flip cover is particularly distinctive from other models in Samsung’s catalogue. This model comes with a smart, interactive window that uses Samsung Smart ID chip that allows for easy access to vital phone features such as screening and receiving incoming calls, time, the ability to preview and swipe through messages and read the numbers of missed calls. It also has quick access to the camera and video recording, allows for quicker contact access and lets you set notifications and settings easier. There’s also a notification bar that allows for features than these. The fact that you can use all of these functions without even opening the flip cover is truly remarkable. Add to the the ability to control your music and video apps and you have a case protector that you never even have to open. Having the option to choose from a variety of colors is also nice too. VRS Design has released a case protector that offers more than just a gorgeous color and leather exterior. This is a protector that is modeled with easy access to most of your phone’s functionality in mind. 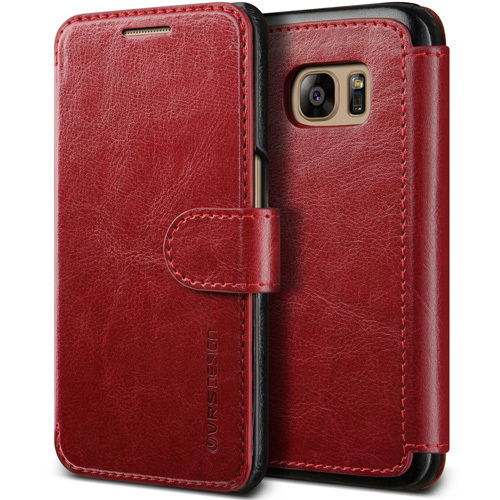 It comes with drop protection, lay on the table design, two different shock absorbing layers, a slim design and three different colors of wine red, brown and black leather folio options. It’s engineered to fit snugly over your phone without sacrificing functionality. A TPU lips prevents the from scratching or touching the ground. It also has a magnetic clip that helps with quicker access, three card slots and a money pocket to make purchases easier to complete, and precise cutouts that give you full access to all plug-in ports. 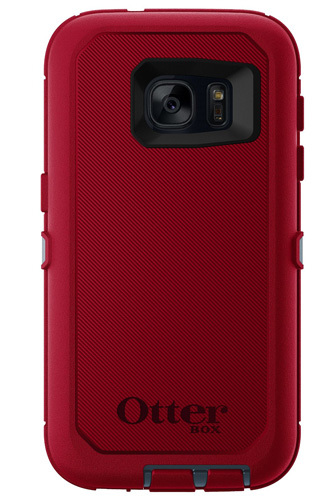 OtterBoxes latest model is significantly tougher than most case protectors for the Samsung S7. It have quad-layer defense to allow for maximum shock absorption and ultimate drop protection. Most case protector don’t come with a built-in touch screen protector, forcing you to have to buy one separately. The Defender has one built-into it’s design. Coming in two different colors – tempest blue or flame red – it’s both stylish and functional. Coming with a holster that also doubles as a hands-free kickstand and belt clip, it also comes equipped with sealed ports that prevent dust from accumulating in these areas. The Defender is built primarily with the maximum amount of protection in mind. That’s it’s also stylish as well is just another added bonus. Another entry from OtterBox is their Commuter series for Galaxy S7. This thin and light weight 2-piece case helps protect against drops, bumping and absorbs shock as it guards your touche screen against scratches with it’s included self-adhesive screen protector. It also comes with port covers that protect your plug-in ports from dust accumulation and is thin enough to still allow you to slip it easily in and out of your pocket. With it’s included easy off and on functionality, you won’t have to struggle to use it in times of need. Available in two colors – whetstone blue and tempest blue – it’s both supremely functional and visually striking. Ballistic has issued their latest offering with an ash wood design that makes your innovative piece of pocket technology look positively rustic. 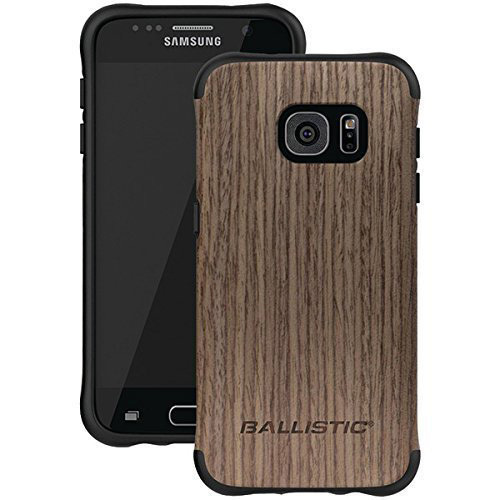 With ballistic corners and raised lips, it offer added protection from drops, bumps and shock. It can take a drop from 6 feet heights with no damage whatsoever. This however, doesn’t mean it sacrifices weight and slimness for durability. It doesn’t come with a screen protector, but the raised lips do prevent the screen from coming into contact with flat surfaces. The main allure of this model is the ash wood design, available in both black and brown colors. 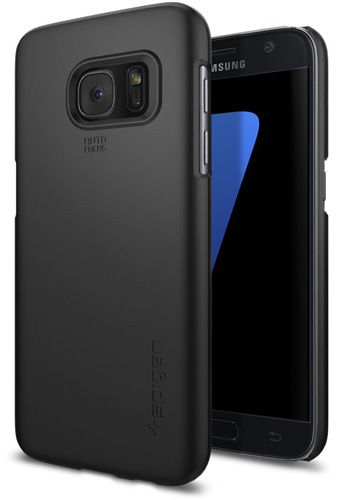 The latest offering from speck for the Galaxy S7 is a marvel of modern case protection technology. Using military grade protection, its able to meet or exceed their drop and shock absorption standards via a dual-layer design. The exterior hard shell disperses impact while the interior layer is able to absorb all kinds of shock damage. That it’s able to do so with a clear case design is impressive. This clarity is achieved via two layers of special, premium materials that maintain HD clarity without sacrificing durability. With a scratch resistant finish, it’s polycarbonate construction prevents most if not all kinds of damage from abrasions to out-right cracks. Best of all, this clear shell won’t turn yellow over time, maximizing it’s lifespan, making you able to use it for the full life of your phone. Urban Armor Gear has a reputation for extremely durable case protectors, and their latest offering for the Samsung Galaxy S7 is no exception. Meeting military drop standards, it also utilizes significantly lightweight composite construction, an armor shell with an impact resistant core and a non-slip grip outer shell. This is in addition to the oversized tactile buttons and easy access touch-screen and ports. Add to this design skid pads resistant to scratches and abrasions and opening that provide for glare-free picture and unobstructed sound recording, and this phone is fantastic for those who value functionality and durability over style. 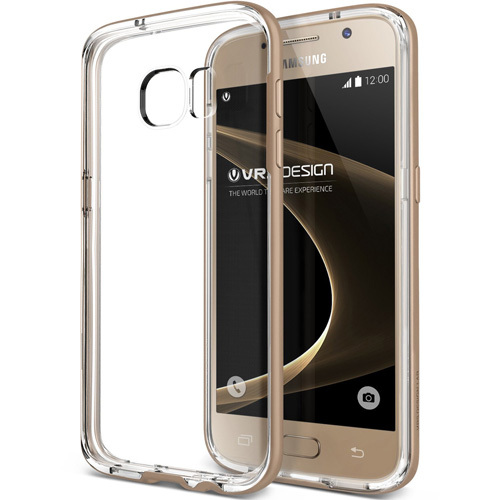 The VRS Design Galaxy S7 Case is a crystal bumper style that combines both quality construction and an elegant, up to date design. This case is great for any occasion. It is designed to be comfortable in any environment from the fanciest events to a simple trip to the store. You are sure to be confident in your fashion style wherever you go. That is at least when it comes to your smart phone case. The crystal bumper gives fashion conscious consumers the best of both worlds. Extremely high style, and the protection that you need. The transparent TPU layer allows you to show off the design of your Samsung Galaxy S7 without compromising protection. Impact-resistant layers are constructed from high-grade TPU and PC, a soft inside layer cushions the your phone from drops. The hard outer layer encases the portable device to shield from serious collisions. VRS engineers their products in order to emphasize thinness without compromising the protective qualities you need in order to keep your phone in tip top shape. Precise cutouts give you full access to ports, and sensitive button covers allow responsive presses. If you have been looking for an extremely tough case to protect your Samsung Galaxy S7 than your search if over. Spigen specializes in manufacturing some of the most heavy-duty smartphone protection on the market today. 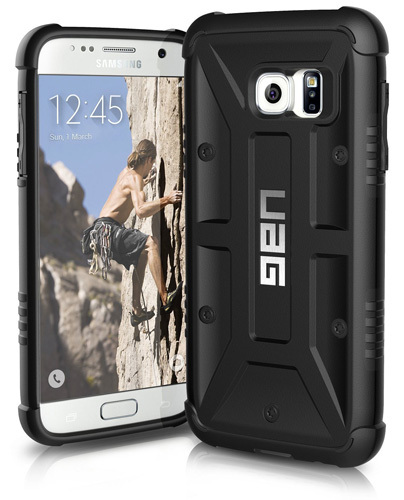 This device features a shock-absorbing TPU interior with a polycarbonate exterior. It is manufactured with air cushion technology that is formulated from military grade materials. The large cutouts fit most cables while protecting both the phone and camera unit. 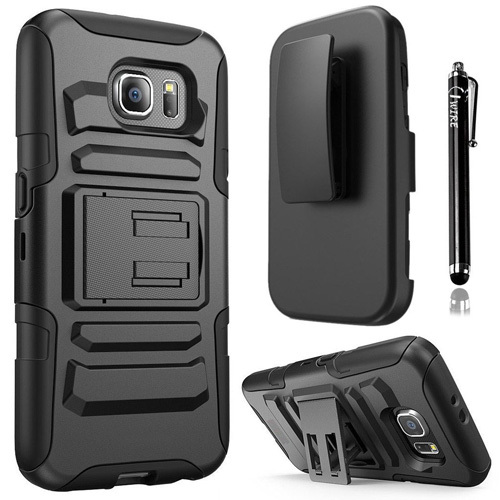 The Tough Armor for the Galaxy S7 is an incredible combination of a TPU shell contained within a hard polycarbonate backing. In order to guarantee protection for your smart phone’s screen edges, a 2.0mm lip wraps neatly around the device for additional grip. This creates a secure buffer against flat surfaces without interfering with the edges’ screens. Give your phone the protection it needs with the stylish Tough Armor case by Spigen. The Thin Fit Case For Samsung Galaxy S7 is a hard polycarbonate case with an incredibly slim build made from premium polycarbonate for basic protection against bumps and scratches. This case is so thin and light that it barely adds any weight for a case-less feeling with exposed buttons and port openings for quick access and usability, creating a great experience that feels natural. 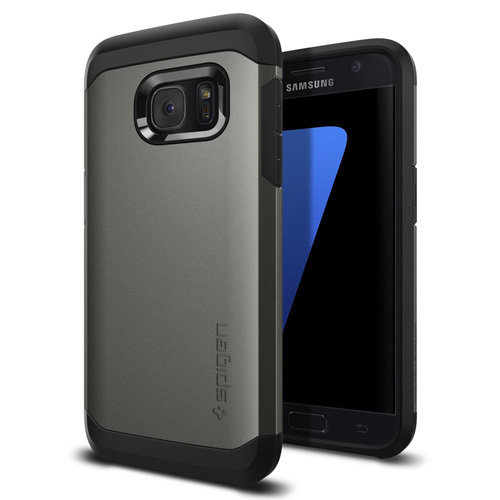 The Spigen Thin Fit case for the Samsung Galaxy S7 Edge is the perfect choice for people that want to protect their expensive mobile electronic devices with a minimal profile. This unit is both slim but protects well with a hard shell. The premium polycarbonate material covers all sides of your device to offer basic protection against bumps and scratches while adding a negligible amount of weight for a case-less feeling. Triple Mixx Samsung Galaxy S7 Case By VRS Design is a case designed for you. It is refined, functional, and practical, the Triple mix Series case fully complements the Galaxy S7 allowing for your phone’s natural beauty to shine. This product offers a full degree of protection by covering all four corners. In addition it includes raised edges and a TPU lip to keep the screen from scratching or touching the ground. The Triple Maxx offers a snug fit due to the fact that it is engineered to emphasize thinness without compromising smart phone security. The precise cutouts give you full access to ports, and sensitive button covers allow responsive presses. Manufactured with impact-resistant layers that are made from high-grade TPU and PC, a soft inside layer cushions the Galaxy S7 from drops, while the hard outer layer encases the Device to shield from serious collisions. A uniquely patterned clear PC layer allows you to Show off the design of your Phone without compromising protection. 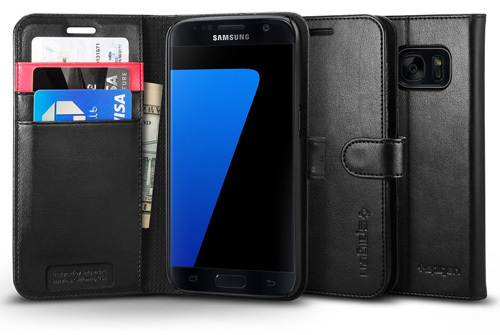 The Wallet S Case For Samsung Galaxy S7 By Spigen contains three card slots, plus the ability to prop up your portable electronic device for more comfortable viewing. The new interior buffer for home button prevents direct contact with the cover, and a reversible magnetic clip securely holds on either side of cover. 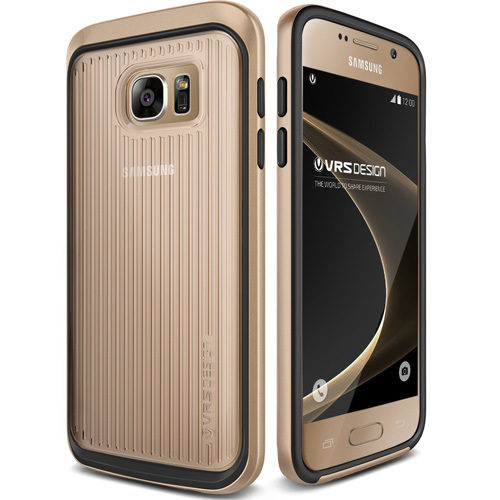 Designed with a premium synthetic leather, and polycarbonate casing for a stylish, sophisticated look with extreme protection for your Samsung Galaxy S7. You never need to worry about accidentally dialing someone again. By preventing immediate contact of the home button and cover, the button will avoid being pressed when the cover is closed. 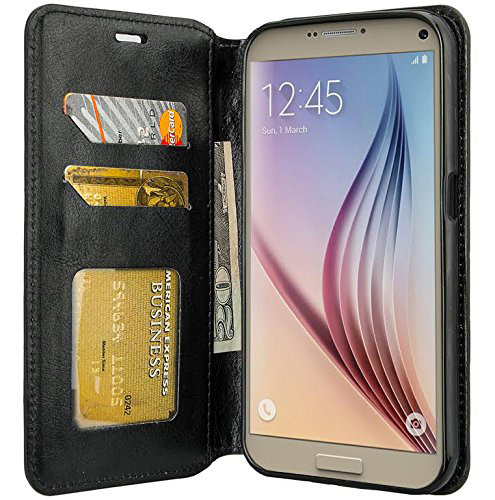 The three card slots and an interior compartment for extra cash allows you to securely hold onto your essential items in one place, making the Wallet S a convenient addition for your smart phone. Case protectors are simply the best way to protect your Samsung Galaxy S7 from damage. Why take the risk of breaking your new phone when there is an excellent custom fit solution. They also keep your phone looking new. When you use a case protector you will never need to worry about those annoying scratches, dents, and dings that make your smart phone look old and abused. 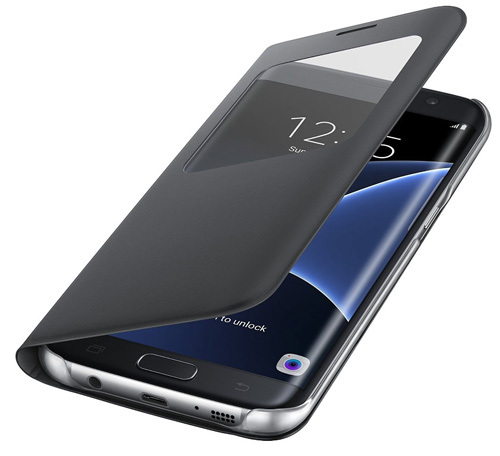 There are many great choices listed above in the list of the top 15 best Samsung Galaxy S7 case protectors in 2019. It really comes down to a matter of personal taste.